My new friend for the next four or so months ….. 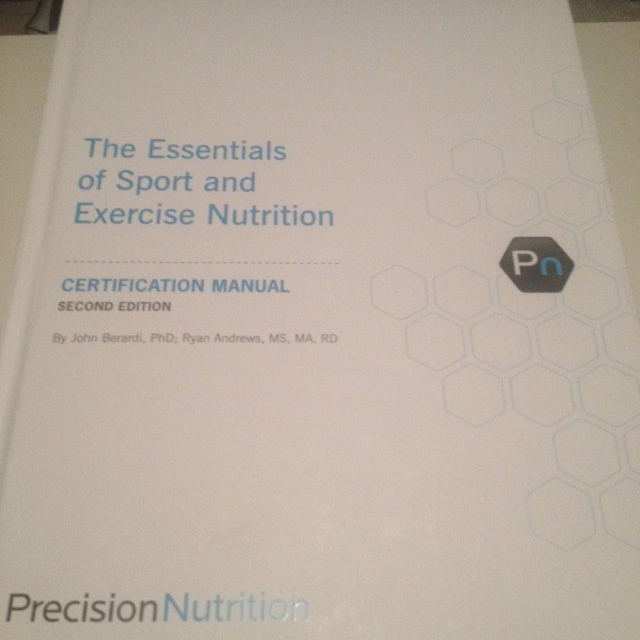 I have decided that my next focus is to achieve the Precision Nutrition Level One Certification. This course covers everything from the science of nutrition from cellular biology, digestion, metabolism and more, through to the practice of coaching in a Personal Training environment for all clients at all levels. Basically: if you need to know it as a coach/trainer it will be in this course ! The textbook below is over 500 pages then an online exam so I am going to be busy !!! Its really great sinking my teeth into something like this as nutrition is such a massive topic with so many people having different ideas and viewpoints . I have tried all sorts of nutrition plans over the years, some worked and some didn’t! As we all know its so important to eat right to achieve your goals !